Shampoo tries to gather everyone together to help her Amazon sisters in their time of need. What has everyone been doing in the meantime? The answers will surprise you. 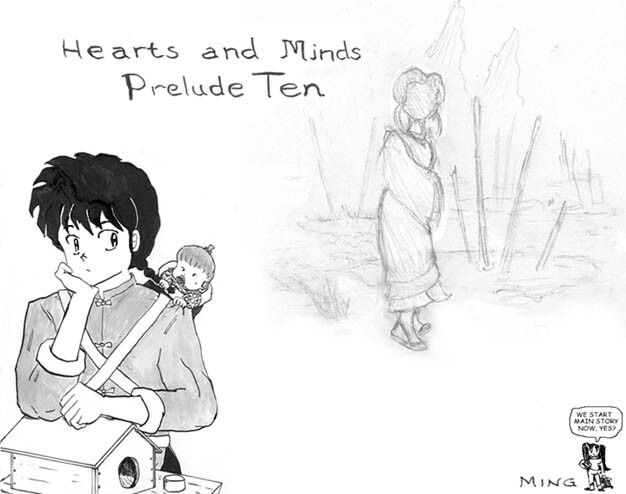 Each of the ten Preludes spotlights a different character or characters. Some questions related to the Preludes. See if you can guess the answers to these before you read the stories. Picture by Ming. Click for full version. 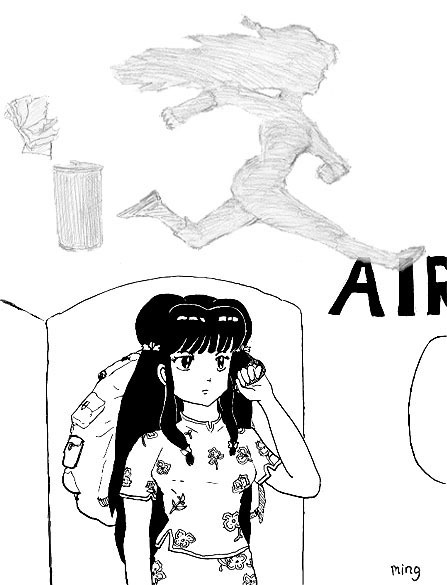 Prelude 1: Kuno Tatewaki "Home"
Graduating from High School, Tatewaki ponders what to do next. Meanwhile, Genma and Soun concoct another scheme to push Ranma and Akane into marriage. Picture by Ming. Click for full version. Prelude 2: Kuonji Ukyo "Name and Likeness"
Ukyo is unhappy over losing Ranma, and having to deal with other unwanted suitors isn't helping. But a new business offer comes in that might make up for it. Picture by Ming. Click for full version. 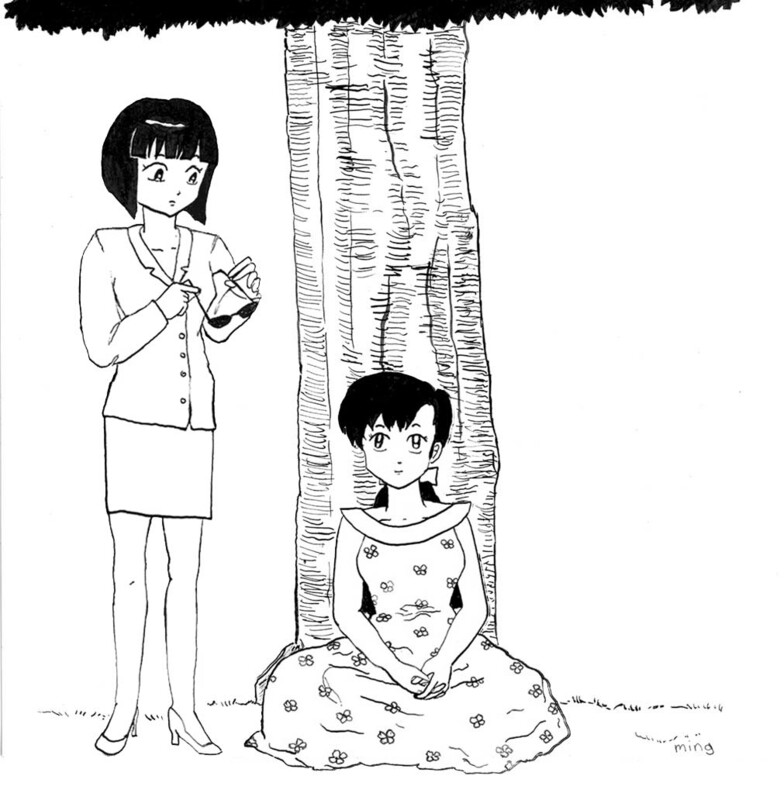 Prelude 3: Kuno Kodachi "The Contest"
Kodachi challenges Akane to a contest with Ranma as the prize for the victor. Unfortunately, it's not a fight. Picture by Ming. Click for full version. Hibiki Ryoga and Unryu Akari: "The Gift"
Ryoga can't be Akane's pet anymore, and hopes to make a new life with Akari. But how can he when his lack of direction sense keeps him lost most of the time? Picture by Ming. Click for full version. Prelude 5: Tendo Akane "Something Old, Something New"
Wedding day is finally here. But who is this boy from Akane's past and why does he want to meet her again? Picture by Ming. Click for full version. 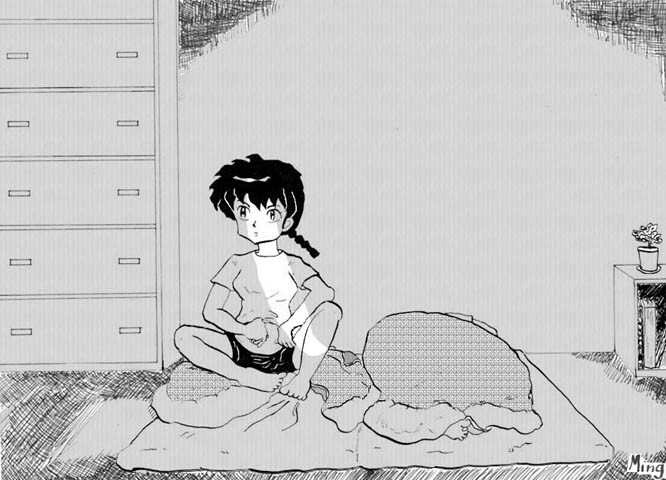 Prelude 6: Shan Pu "Bie Liao"
On her deathbed, Cologne asks Ranma for a promise. Meanwhile, Kaede the priestess chooses an apprentice. Picture by Ming. Click for full version. Prelude 7: Mu Si "Reflections"
Finally rejected by Shampoo, Mousse is out on the street until he's found by someone else. Picture by Ming. Click for full version. 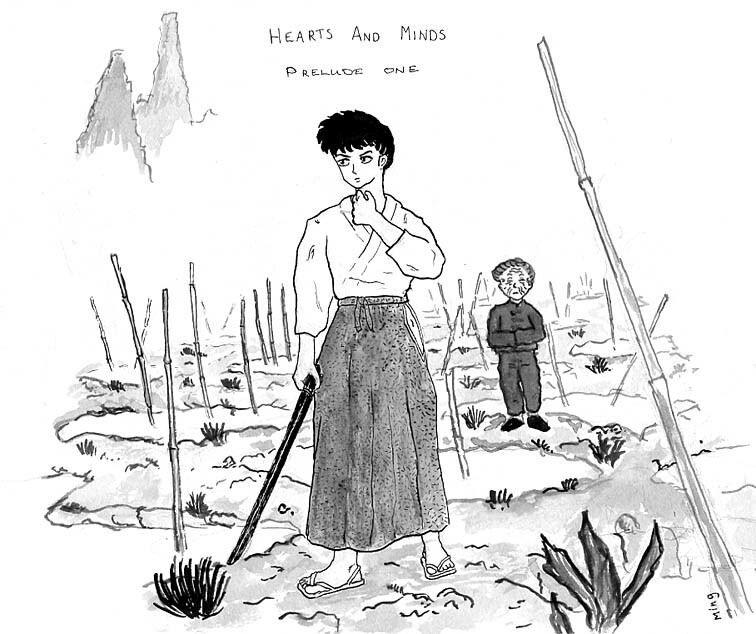 Prelude 8: Hikaru Gosunkugi "Courage"
Hikaru wants to prove to Akane that Ranma isn't a faithful husband, and Happosai offers him training that might help. Picture by Ming. Click for full version. Prelude 9: Tendo Kasumi and Nabiki "Someday"
Kasumi and Nabiki picnic in a park and reminisce about where their lives have taken them. Pictures by Ming. Click for full version. 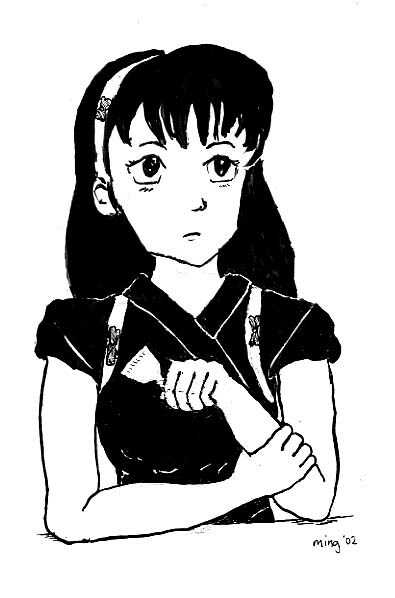 Prelude 10: Saotome Ranma "Lili's Child"
The ghost of Feng Lili, the girl who drowned at Jusenkyo, forces Ranma to bear her child. In which readers of this site voted for their favorite Prelude. Ranma 1/2 crew fight to protect the Amazon village from deadly invaders. Ten chapters will be written; the following are currently available in draft form. 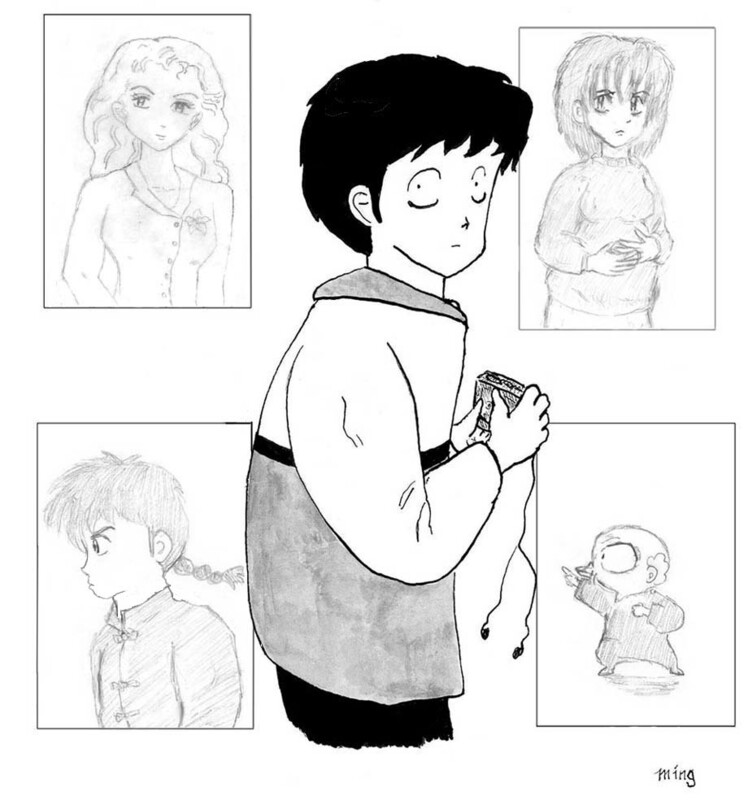 This was my entry in the multi-author Ranma Preludes series. 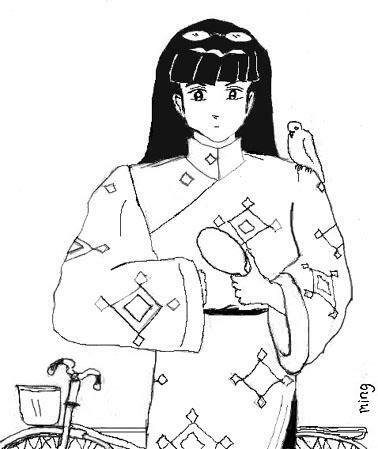 It introduces Shan Pu's mother, Ke Lashi, and some plot elements that play a role in HaM. Ranma and friends gather to defend the Amazons against the threat of an invasion. But is it already too late? The Amazons are under military occupation. Ranma's group is on the way there, and Kasumi has a surprise that will help. The Amazons resist the invaders as the group from Nerima arrives. 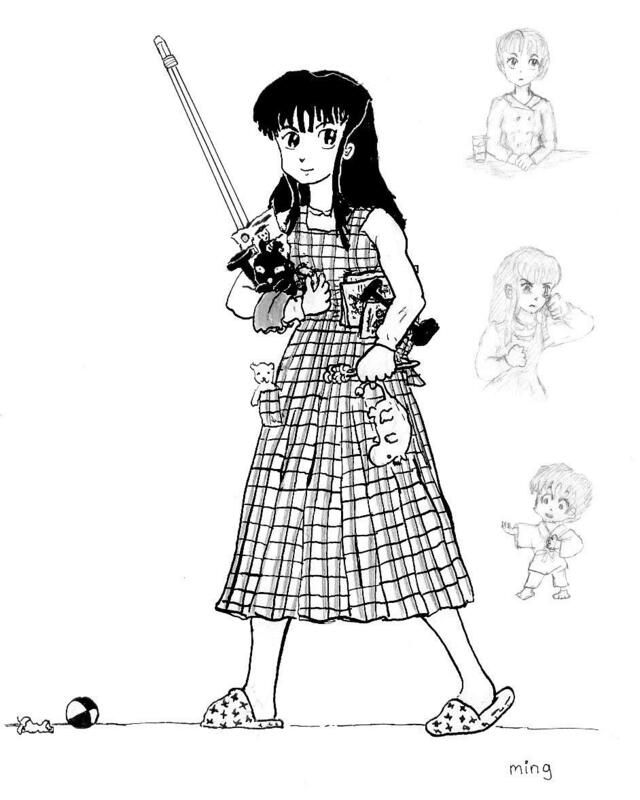 Ranma tries to figure out the source of Kodachi's new power. Ranma and friends commit sabotage against the Mongol army in order to lure them into a trap. 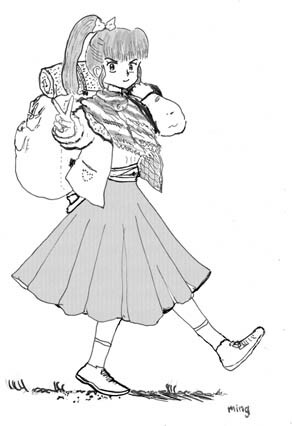 Ranma's group sets out for Mongolia, but Zhen Biaozi is one step ahead of them. A Spamfic by Bert Miller, followed by a response from Hiroshi, Daisuke, and myself. 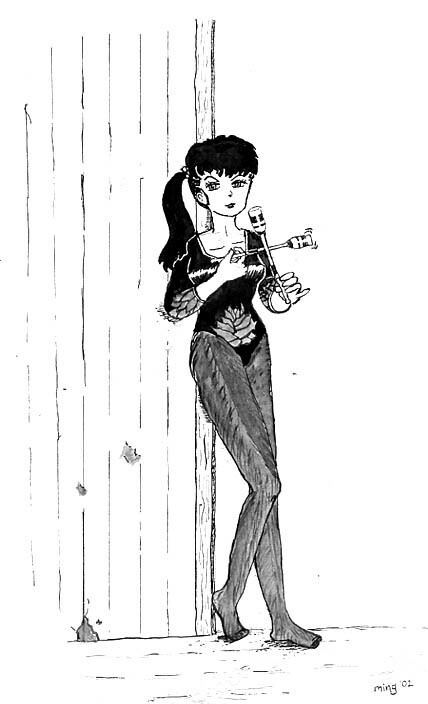 Ranma's group tries to rescue Kasumi and Mu Si, while Nabiki and Elder Lan try to cure Shan Pu's new curse and Tatewaki tries to deal with the fact that her change might be permanent. The Golden Pair try to break into the Kuno house to save a friend. Ranma figures out why he's been weakened. Gosunkugi and Ti Pi attempt to retrieve a powerful Amazon artifact. Tsubasa visits Jusenkyo. Zhen Biaozi returns to the Amazon village. Nabiki finds evidence that one of the group might have betrayed the others. Nabiki confronts the head of the company she works for while Kasumi looks into the future. Biaozi meets with the Amazon Elders as Ranma confronts the person who betrayed the group. Hikaru and Mu Si try to stop Zhen Biaozi from taking over the Amazon village. Meanwhile, Ranma's group confronts the power behind the new Mongol regime.